We now have sufficient numbers to book the transport and accommodation and I am awaiting quotes so that I can forward exact costs. The itinerary so far includes the Last Post ceremony at the Menin Gate, the Somme and Ypres battlefields, the Thiepval Memorial, Polygon Wood, Solesmes and the Flanders Field Museum. We wish to pay our respects at the final resting places of two of those commemorated on our war memorial, and make personal visits to the memorials or war graves of family members, wherever possible. Therefore the final itinerary will depend on coordinating requests from individuals who wish to visit specific war graves or memorials. Depending on demand it may not be possible to accommodate every request as a group, but I believe that it is practical to take a taxi to specific locations, as most of the graves and memorials are located in quite a small area. 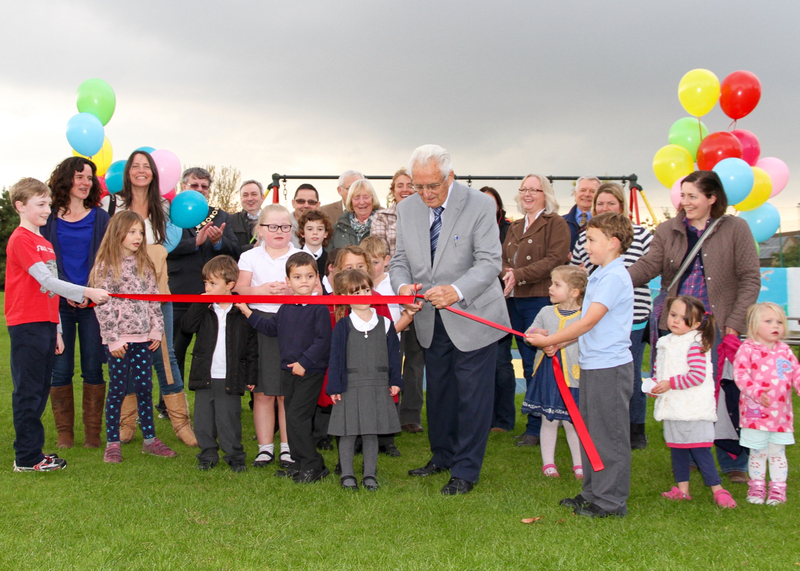 On Thursday 15 October the Village Hall put on a opening ceremony for the new playground. 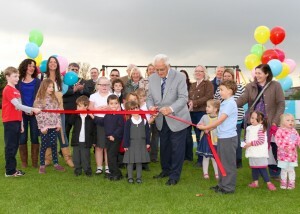 The playground was officially opened by Mr Roy Porter and the ceremony was attended by a large crowd as well as representatives from South Somerset District Council, Somerset County Council and Viridor Credits who had provided the majority of the grant funding. New Playground Equipment – Ready to Play! 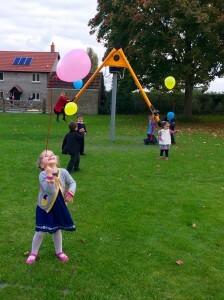 The new equipment has been installed and all ready for use, come and try it out. Over the weekend an opportunistic burglary took place in the Tootle Bridge area. Our PCSO, Hayley Barber, has warned Villagers to ensure windows and doors are closed particularly if you are in a different part of the house or garden. Please report any suspicious behaviour using the 101 number or 999 if it is an emergency.